Welcome to Singapore, Kai Kai and Jia Jia, two giant panda from China. They will arrive in Singapore on 6 September 2012 from China and will be housed at the Yangtze River zone of the upcoming River Safari. Kai Kai and Jia Jia will fly by Singapore Airline Cargo Boeing 747 freighter. The pandas will be transported in special crates that offer ventilation and adequate space to move about in relative comfort. I think they will be served as First Class passengers! 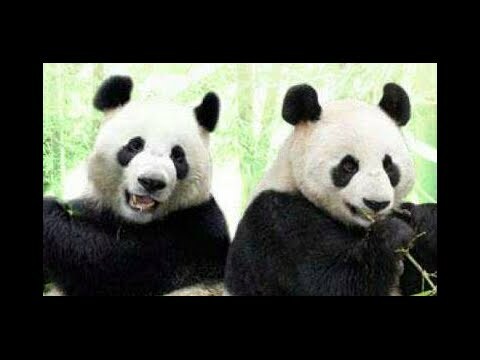 After arrive at River Safari, Kai Kai and Jia Jia will have quarantine process. Visitors can look forward to visiting the giant panda exhibit in December 2012, the month that River Safari opens to public. I haven't see giant panda directly. Some years ago when I went to Hong Kong, I haven't enough time to see Jia Jia (F), An An (M), Le Le (M), and Ying Ying (F) at Ocean Park. I hope in my next trip to Beijing, I can see the other giant panda. After I heard about this news, I think I have more chance to see giant Panda, I can see panda at Hong Kong, Beijing and also Singapore the nearest country from my country. River Safari is the 4th zoo in Singapore, after Singapore Zoo, Night Safari and Jurong Bird Park. The attraction built over 12 hectares of land, and will be nestled between its two counterparts the Singapore Zoo and the Night Safari. Tentative admission rates at S$28 to S$30 per person. See you soon, Kai Kai and Jia Jia!